In recent years, it can be said that the transportation of dangerous goods has undergone significant growth. With the increased amount of dangerous goods being transported around the world, the need is greater than ever that all involved in the supply chain understand the basic concepts of transporting, storing, and handling dangerous goods appropriately in order to reduce the risks related to these activities. On the morning of Thursday, February 23, 2017, a massive fire broke out at Tuas View Circuit around 6:00am. It took the Singapore Civil Defence Force (SCDF) about four hours to put out the flames and periodic explosions could be heard. It was declared by SCDF that the cause of the fire involved chemical waste and flammable goods. According to DGI Global, dangerous goods are defined as substances that are corrosive, flammable, explosive, spontaneously combustible, toxic, oxidizing or water-reactive. Petrol, LPG, paints, pesticides and acids are examples of commonly used dangerous goods. If not properly controlled, these items present a potential hazard to human health and safety, infrastructure, and/or their means of transport. The classification of dangerous goods is broken down into nine classes according to the type of danger materials or items present. What is needed to be able to ship Dangerous goods? 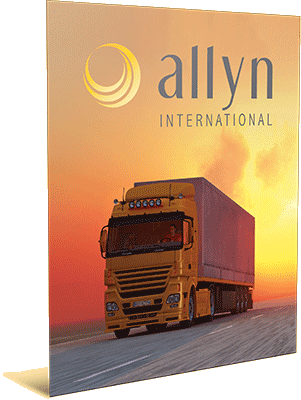 To find out more information on this topic, or for information regarding the handling and shipping of dangerous goods, please reach out to our logistics experts today at Sales@allynintl.com or visit our website at www.allynintl.com. Sign up to receive company and industry news.